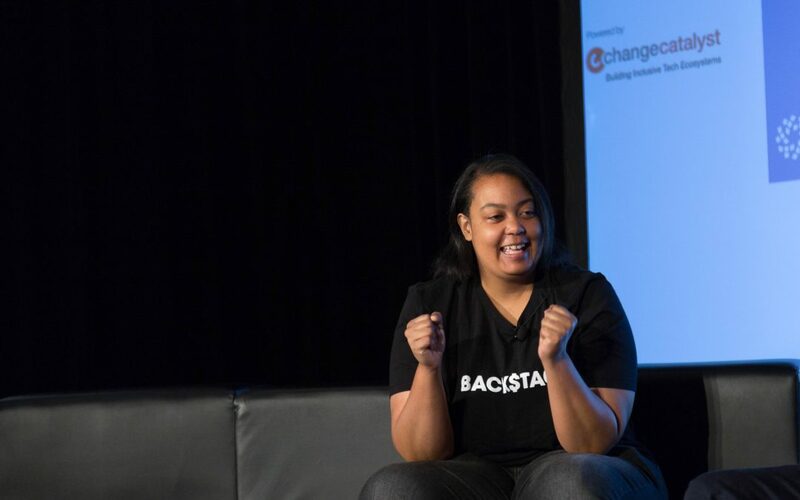 Venture Capitalist, Arlan Hamilton of Backstage Capital has been in the midst of heavy media rotation for the past couple of months. She is currently on the cover of Fast Company and she’s hit her previous goal to invest in more than 100 companies led by underrepresented founders. The investor is known to be extremely vocal and unorthodox, especially on Twitter, but that’s not all she uses the platform for. Where most investors have an oversight, she sees opportunity. 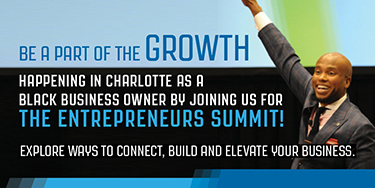 Hamilton sat down with Change Catalyst and now business partners, Melinda Epler and Wayne Sutton, during the Tech Inclusion conference to discuss how she uses the platform to express herself and simultaneously grow her company. Melinda Epler: How do you feel about being a role model for a lot of people who are underrepresented? 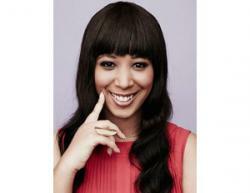 You are a successful venture capitalist, and a black woman, black lesbian woman. How do you feel about that? Arlan Hamilton: Well, it’s amazing. It is a wonderful feeling. I am very honored and proud of it. It’s I don’t know. There is a lot of responsibility that comes with that whether it’s like fair, or not, or something I put on myself, or not — there is responsibility there. So I take it very seriously. But you also see I try to have fun with it because I mean I am making up for decades and centuries of white male bravado so that is why I come out here like that. I am really excited about it and I know there are so many people I am representing. This cover, to me, honestly, and I know it may sound corny to some people, but to me this is our cover. This is what this represents. Wayne Sutton: And one of the things you talked about on Twitter and I heard you talk about before is making sure you are always you. How do you do that? I have been me for almost 38 years. So that is the easiest thing I can do. Everything else is pretty difficult but being myself is pretty easy. However it looks from the outside, none of this came easily. It’s just, it is just me slogging it out, I guess, is maybe the phrase. I have been comparing myself to phoebe — Lisa Kudrow. I think she was the eldest of the cast members [from Friends sitcom] and stayed the course throughout the years and didn’t have a lot of rocky moments that we saw. I think that had something to do with it. I was 35 when I got my first LP, limited partner who invested in my fund, and 37 on the cover of Fast Company so I just and you know, this weekend I am staying in a fancy hotel and ordered Popeye’s twice on Door Dash. They are like madam, your Popeye’s chicken is here. I am like great. That is what I ordered. You can take your judgment out of your eyes. Wayne Sutton: About a month and a half ago, Melinda and I became apart of the Backstage crew. Yes, Wayne and Melinda are a huge part of our accelerator that we announced which is huge. It is a huge gift for us. I feel really proud of that. I was moved. It has been really important not only to have the diversity because it is actually working. You see the moves we are making. You see what we are doing. There is stuff you don’t see. It is because of the team. It is because the team is diverse. It is because the team can pull from different background and experience and points of view that we are able to be this strong. I think it is important, too, because I honestly I didn’t cast this crew. I didn’t cast it; you know what I mean? It came one at a time because of what we built internally. I wanted to also be an example to other companies and other funds who may think that it’s just, too, difficult to diversify their teams — like at this point it is, too, difficult — especially firms. I want to point out to people in case they don’t know the dynamics. I am not giving anyone a pass, but where it is due, funds have a specific amount of budget every year. Their monetary fee. It isn’t just the simplest thing in the world to add a couple new partners — especially when they are outside of their networks. Having said that, they know that so now is the time for them to start reaching out and having better networks so they can eventually at some point put people in this place and you do this by having associates, and principles, and keep going up. It is like a law firm. They can’t sit there and say we can’t do it because it is what it is. They have to do a little bit of both and recognize it isn’t easy but they will start. Hope Backstage is an example. We have a lot of fun. This is the most fun because it is super diverse and I learn something new every day. I learn a lot from Christy about all sorts of things. She teaches me all the lyrics to the West Coast ’90s rap. We got it going. Yeah, I wouldn’t have it any other way. It really was like this case study and building something and people being attracted to it one-by-one. There are so many people on a waiting list who want to work at Backstage because it looks like the rest of the country. It looks like when they go and they do — you know — they go to a concert and you might see a lot of different types of people and you will be the only one in the room. Doesn’t make sense. I will not say we are there yet. There are a lot of ways we can get better and we can work on that, too. Melinda Epler: And people didn’t apply to be an online resume or necessarily give you a resume and that is not how you found the team. I think that is not necessary. I think that is an important part of this, too. Reading through, the team all created and answered some of Kelly Hue’s questions. If you look at how people got in contact with you a lot is via Twitter. A lot is Twitter and some in person. There have been some straightforward let me see your resume, and having it on file for a while, but that part is really important, too. When I started Backstage, I wanted to have the company I would want. I wanted to take the best I have seen and completely do away with the worst I have seen. One of the best things was just like we have with our process for applications — for investment is not just going to the same old, same old places and wanting the same cookie cutter way. It helps that I went through a windy path to get here.